But usually when I have a night at home, all by myself, to watch whatever chick-flick I want, read girly magazines, paint my nails and wear an ugly green face mask, I want to eat Chinese take out. Like from a Chinese take out box with chopsticks (even though I can barely use the darn things). It must be from watching WAY too many chick-flicks, were every single girl in the movie sits at home watching a chick-flick and eating Chinese take out, from the take out box using chopsticks; but yet this is what I crave, every.single.time. those Fridays roll around. Eric on the other hand orders pizza when he has the house to himself. THAT must be a guy thing. But even though I have this grand vision illusion of what my Friday night, home alone must be like, I usually never order out. 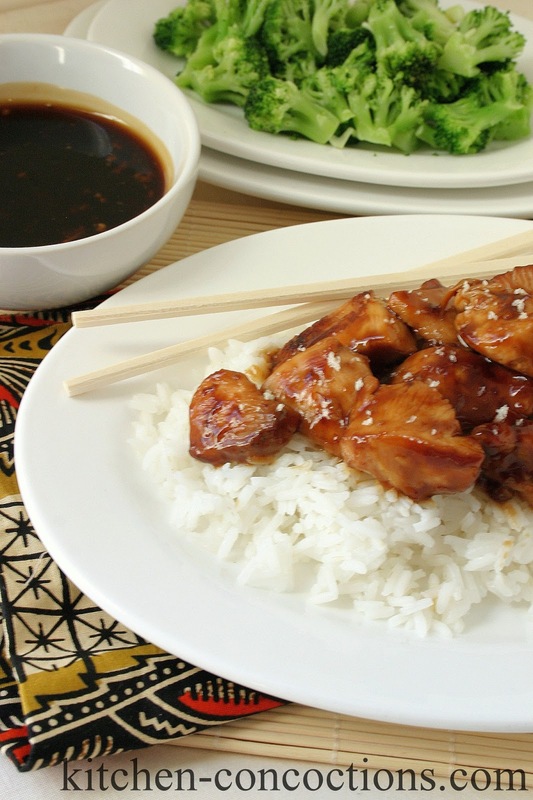 One thing I love is Teriyaki chicken. So I wanted to attempt to try to make my own version at home. I mean once you master the Teriyaki sauce, the actual chicken dish is a breeze. Pan sear some chicken and stir in this sauce or use as a marinade to grill chicken this summer, or use this homemade version in lieu of bottled in your favorite recipe. Because seriously this homemade sauce blows that bottled stuff out of the water and is easy, peasy chicken squeezy! In a medium sized sauce pan, stir together soy sauce, orange juice, rice vinegar, garlic, ginger, brown sugar and honey. Bring to a boil and boil for 1-2 minutes. Meanwhile, in a small bowl stir together cornstarch and water to form a slurry. 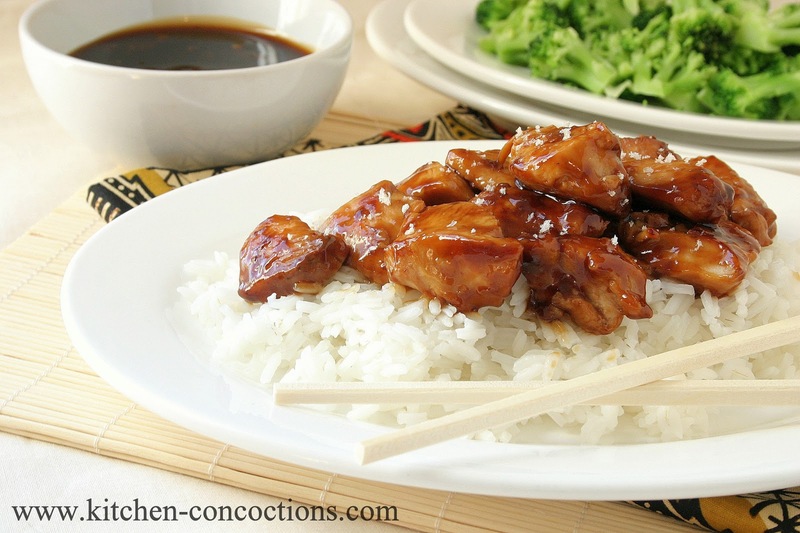 Stir cornstarch slurry into teriyaki sauce. Cook for an additional 2-3 minutes or until desired thickness. Use sauce as desired for stir-fry, marinading or basting grilled meats and veggies, or in your favorite recipe. *Note: Water, vegetable/chicken broth, or pineapple juice may be substituted.